It's not often that mobile networks throw-in freebies with their SIM-only plans, after all, the prices are normally enough to tempt customers – with the goodies reserved for the costlier contracts. So, it's pleasantly surprising to see EE offering customers a free PlayStation Classic console with select SIM-only plans. Like the NES and SNES Classic Mini launched by Nintendo, the PlayStation Classic offers a healthy dollop of nostalgia for video game fans. It typically costs £89.99. As well as two controllers modelled on the original 1994 console, you'll also get 20 preinstalled video games, including the likes of Resident Evil and Grand Theft Auto. 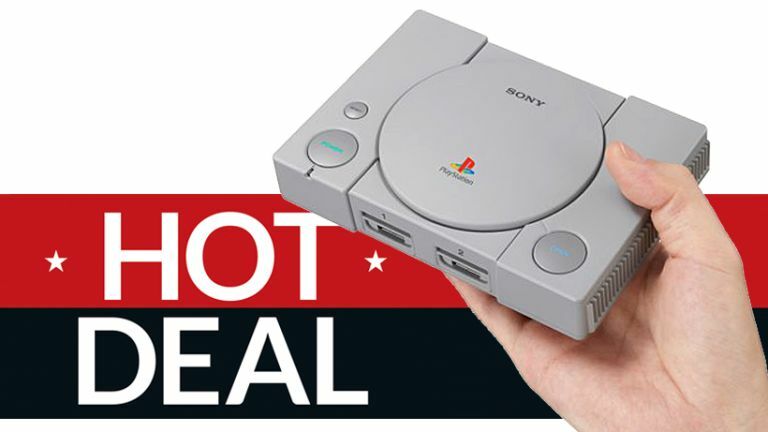 The free Playstation Classic is not only limited to the priciest SIM-only plans, either. EE has included the substantial freebie in SIM-only plans starting from £14 a month. And if you're not keen on EE or get better signal with another network, you'll be pleased to find out that Vodafone is also offering the same deal. These SIM-only deals are also available throughout the SIM card range, so no matter if your phones uses a Standard SIM, Micro SIM, or Nano SIM. If you'd like to compare the latest freebie with some of the other deals and discounts on offer at the moment, check out T3's comprehensive guide to the best SIM-only deals available at the moment.